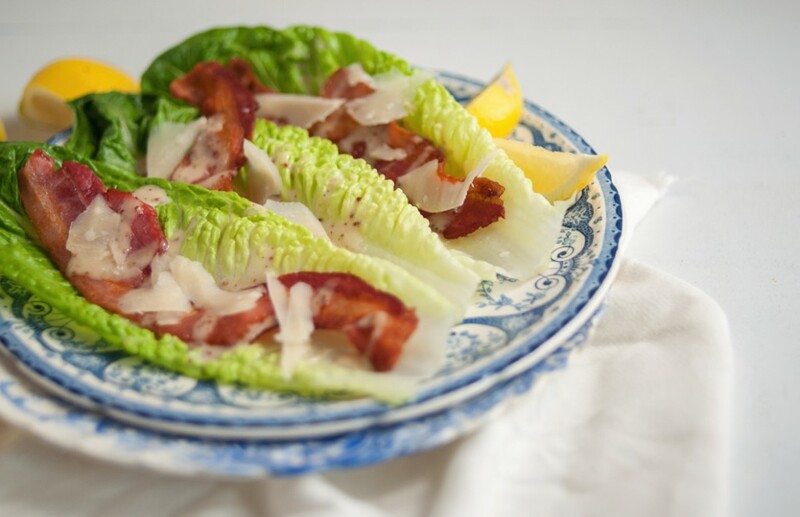 The first thing that happened: I had seen this Caesar Salad recipe on Simple Bites a while ago and pinned it (as you do), thinking it’d be the perfect salad side at a BBQ. Salad you can eat with your hands! LIKE A HOT DOG. The second thing that happened: While on Simple Bites that first day, which is a terrific site if you haven’t been there yet, it occurred to me that I should email Aimee and ask the question that had been plaguing me for weeks- over Memorial Day weekend, I’m visiting my (very) pregnant friend and had offered to cook her yummy things to help ready them for the baby and…. I had no clue what to make. The Internet was shockingly devoid of plans for such things (at least from what I could find via the first two pages of Google. You know how this goes- you search, you look through the first two pages of results from Google, you throw your hands up in pitched frustration and say, “This just does not exist!” and then overturn the coffee table. And then wonder if you’ve had too much coffee that morning. Oh, that last part’s just me? Fair enough.) So, I emailed her. And heard nothing. Which is fine! It’s not like I’m not the POPE or anything! People are busy! I’m busy too! But still, I worried about what I would do when I went to see Sarah. Cut to today: I went back to Simple Bites to dutifully source/thank them for the wonderful recipe and WELL. HELLO. I’m not taking credit for it, most likely it’s just a coincidence. But who cares! I’m leaving tonight! And now I know what to do! Is that lucky or what? So now you get a fork-free salad recipe, I get a recipe list, we’ve come full circle and everyone wins. Happy weekend to us all. Happy weekend one and all! 1. 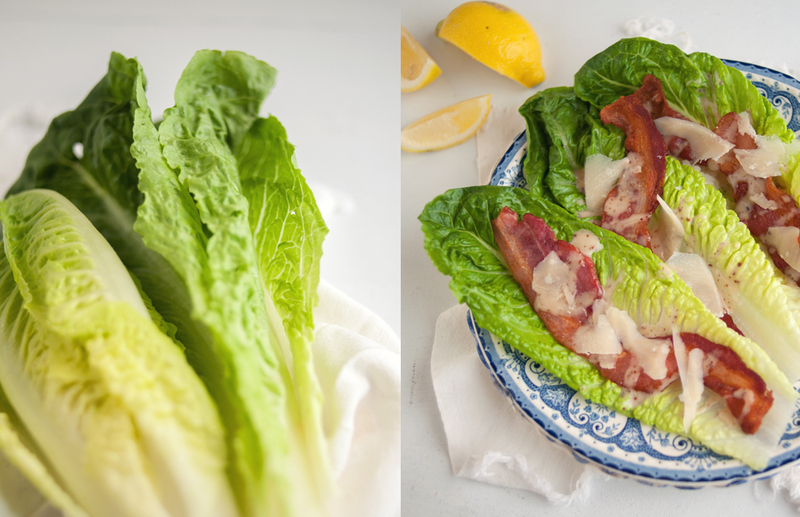 Slice Romaine hearts in half lengthwise or peel away whole leaves. Rinse under cold water, drain and press with kitchen towel. Remove as much water as possible. 2. Arrange leaves on a platter and drizzle with dressing. 4. Just before serving, drizzle with remaining Caesar dressing and a sprinkling of fresh black pepper. well, there’s another site added to my (still not sure which i’m going to use) reader… SO MANY SITES.